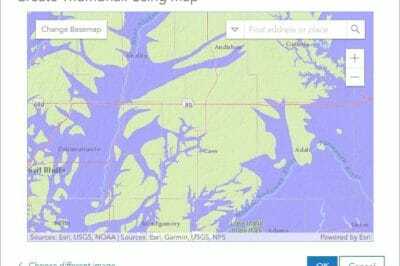 This GIS tutorial by Naveen Sidda looks at Google Fusions Tables, how to import geographic data from a web page, and how to create map out geographic data within Google Maps. What is Google Fusion Tables? Google Fusion Tables is a data web service which is built on the concept of cloud computing for data integration from various data sources, visualization and collaborative management. Essentially, it stores and computes on the fly without any installation and maintenance of applications on the users machines as the providers manage the infrastructure required to accomplish the task. Prefer to watch a video? 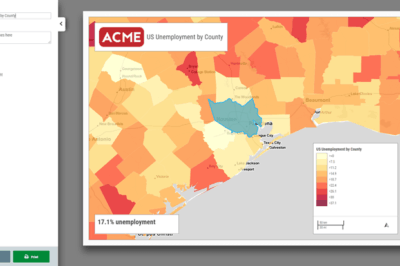 Check out 5-Minute Cartography: Make a Map with Google Fusion Tables. Fusion Table (FT) allows the import of various data formats like the comma-separated text (.csv), other text-delimited files (.tsv), KML , Google spreadsheets, and other spreadsheet formats (.xls, ods, etc.). 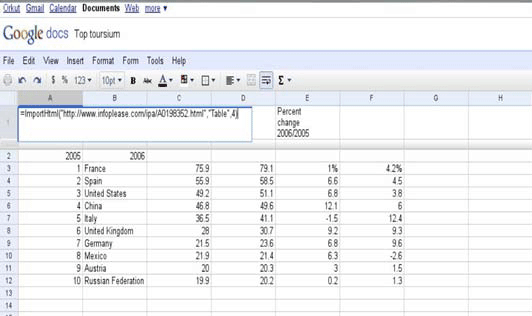 In this exercise, the data is prepared in a Google spreadsheet. There is one advantage to using online spreadsheets especially when we pull data from the websites which is the user gets updated information automatically into the imported spreadsheets without the need to intervene manually to update and check the information. This section will explain how to import data from a web page into Google Fusion Tables. 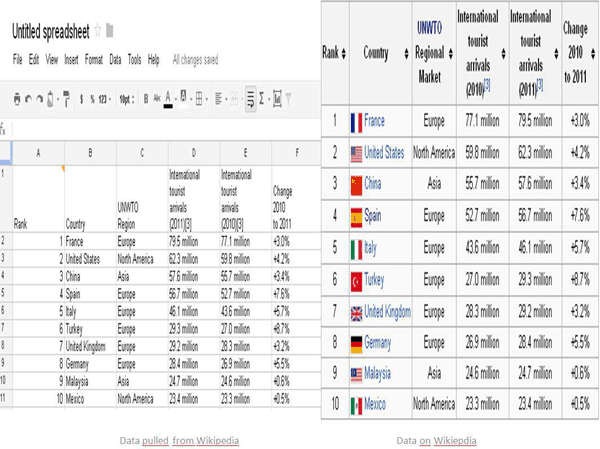 The table in the Google docs below shows the data of top touristic countries along with rankings, statistics on the arrivals and yearly percent change. 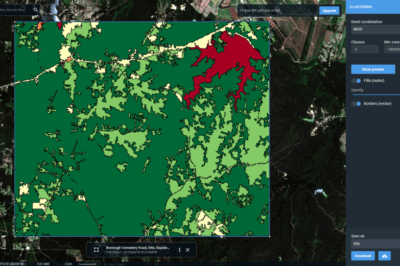 The data and other attribute informations are pulled from the website www.infoplease.com (randomly selected for demonstration purpose) by using below simple formula: =ImportHtml (URL, query, index). For more functions visit https://support.google.com/docs/bin/static.py?hl=en&topic=25273&page=table.cs. The above function pulls and dynamically updates all the data into the docs as below in Table 2 that is stored in the Table format from the website. Table 2: Formula to import the data into online spreadsheets. One more example, using the same above function shows the recent tourism statistics which have been pulled from the Tourism entry on Wikipedia and imported into Google docs as shown in Table 3, which further can be uploaded into Google Fusion Tables for various computing. Table 3. Showing data extracted from an entry on Wikipedia that is then saved in an online spreadsheet.